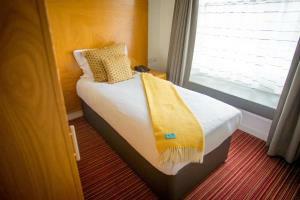 This Single room features a Standard Single Bed, flat-screen TV with Freeview Channels and tea/coffee making facilities. The en-suite bathroom has complimentary toiletries and a hairdryer. 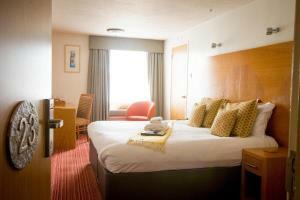 This Double room features a Standard Double Bed, flat-screen TV with Freeview Channels and tea/coffee making facilities. The en-suite bathroom has complimentary toiletries and a hairdryer. 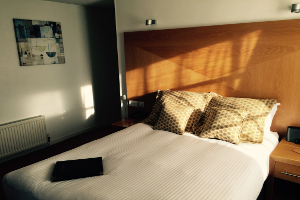 This King room features a king bed, flat-screen TV with Freeview Channels and tea/coffee making facilities. The en-suite bathroom has complimentary toiletries and a hairdryer. This Twin room features 2 Single beds, flat-screen TV with Freeview channels and tea/coffee making facilities. The en-suite bathroom has complimentary toiletries and a hairdryer. Our City Apartments feature Galley kitchens with Puro Espresso Coffee Pod Machines, a king size bed and flat-screen TV with Freeview Channels. They have spacious en-suite bathroom with complimentary toiletries and a hairdryer. 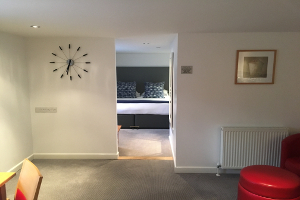 City Apartment to include a £50 allowance in the restaurant, cocktails on arrival Mannings Cornish breakfast in the morning, free 24hr car parking Please include your preferred dinner time when booking. City room to include a £25 allowance in the restaurant, cocktails on arrival Mannings Cornish breakfast in the morning, free 24hr car parking . Please include your preferred dinner time when booking.